1. Maximum of 32 prims. 2. Nothing bough, only your own builds. All entries to be sent to Timol McMillan with the closing date 15th December 2011. Entries will be placed in both Galaxy and Aeon sims, voting boxes will be made available and everyone will be allowed one vote point so please vote and make it count. 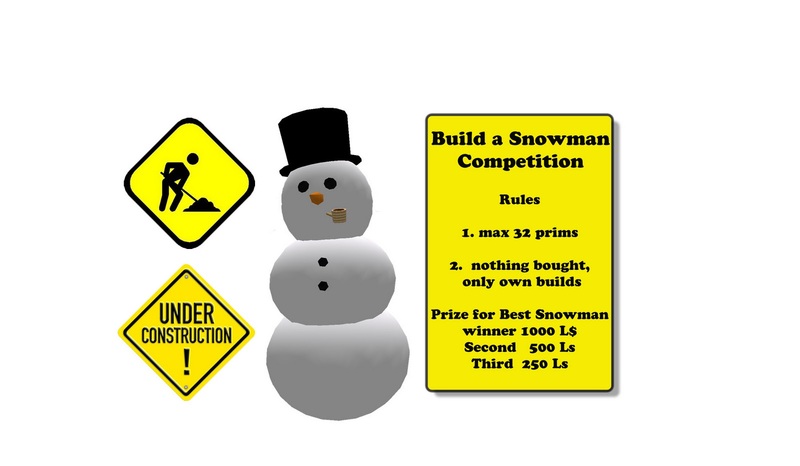 If your still reading this......why, get in the sandbox and build a snowman.